Sultanahmet travel guide. Plan your trip to Istanbul. Check out cheap flights to Istanbul, best hotels in Sultanahmet in Istanbul and Istanbul tours and activities. Sultanahmet, the Old City of Istanbul was once the center of two great empires, the Eastern Roman Empire and Ottoman Empire. Today Sultanahmet peninsula located by the Marmara Sea, the Bosphorus and the Golden Horn is one of the top tourist attractions in Istanbul with a lot of things to do and historical places to see. The main atrractions in Sultanahmet avenue are Hagia Sophia, Topkapı Palace, Sultan Ahmet Mosque or the Blue Mosque, Arasta Bazaar, Mosaic Museum, Basilica Cistern and Museum of Turkish Islamic Art. Plan your Sultanahmet travel in 3 steps: First book the cheapest flight to Istanbul, then book the best Sultanahmet hotel and finally choose Sultanahmet & Istanbul tours, tickets and activities for an amazing Istanbul travel. 3. Get your Sultanahmet & Istanbul tour guide! Book your Sultanahmet & Istanbul tour tickets for top attractions in & around Istanbul! GetYourGuide.com offers the best Istanbul tours, the lowest prices, fast & easy booking. Turkey Travel & Culture Guides. 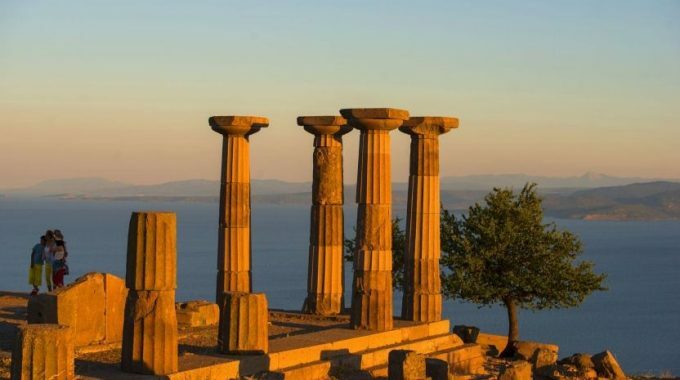 The ancient city of Assos.